Today we will write about one of the most beautiful Palaces in Portugal, the Palácio de Queluz in Sintra, just about 15 minutes from Lisbon. 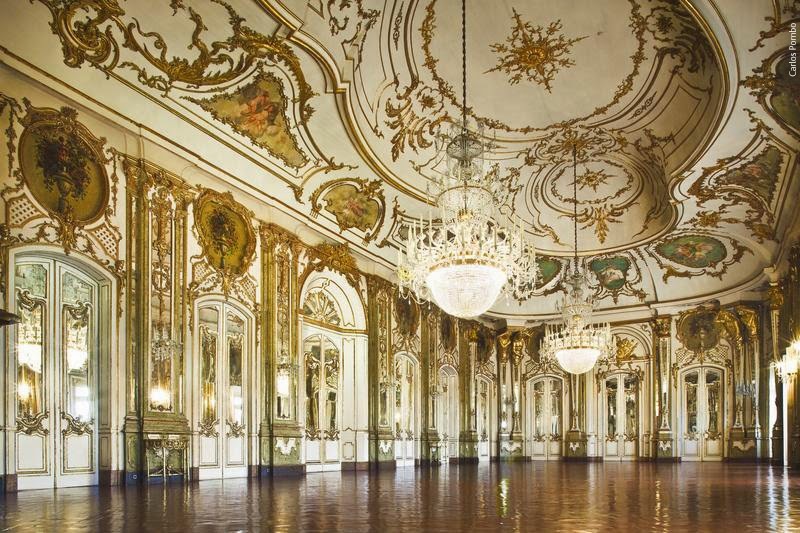 last great Rococo buildings in Europe. The palace was built as a summer retreat for D. Pedro de Bragança, between 1747 and 1752. It is known as a mini Versailles due to its exquisite Rococo palace and formal gardens and we’ll give you 5 features not to be missed when visiting this magnificent piece of history. Competing in splendor with the Ambassadors’ Room, and with a splendid oval, domed ceiling, the Throne Room also serves as ballroom, church and theatre. 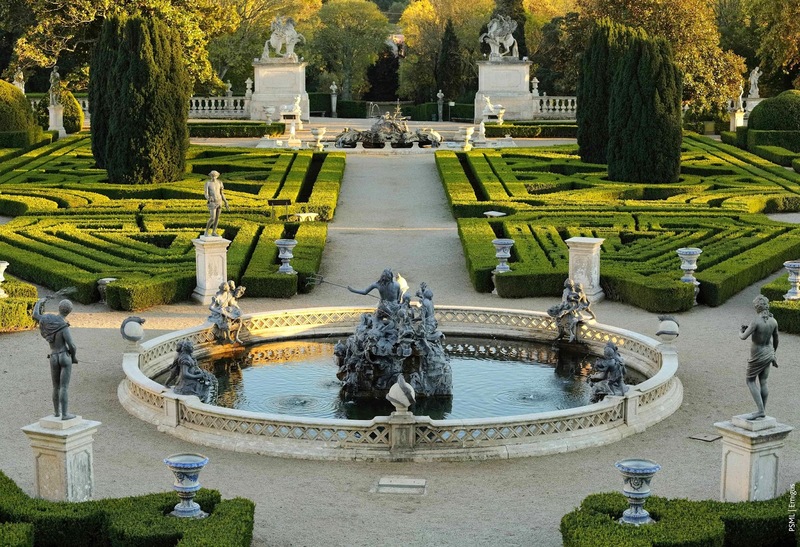 Two formal gardens, the Neptune Garden and the Malta Garden, fill the space between the palace’s two asymmetric wings. The inlaid circular-pattern floor and domed ceiling make this square room look round. It was named after the painted scenes from Dom Quixote that it contains. This beautifully flowing staircase links the lower parkland area to the palace and formal gardens. It is flanked by an arcade with a water cascade flowing into a tiled canal where in the past, the royal family went boating. The magnificent Ambassadors’ Room was used for diplomatic audiences, and it is opulently decorated with stucco work and painted and glided carved woodwork.